Immaculate 3 BR,2BA, spacious mostly brick home with side entry 2 car garage. Located within a mile of many banks, restaurants, and retail stores including Target, Walmart, Publix, YMCA and more. Living room and dining room combination with trey ceilings; kitchen/family room combination. 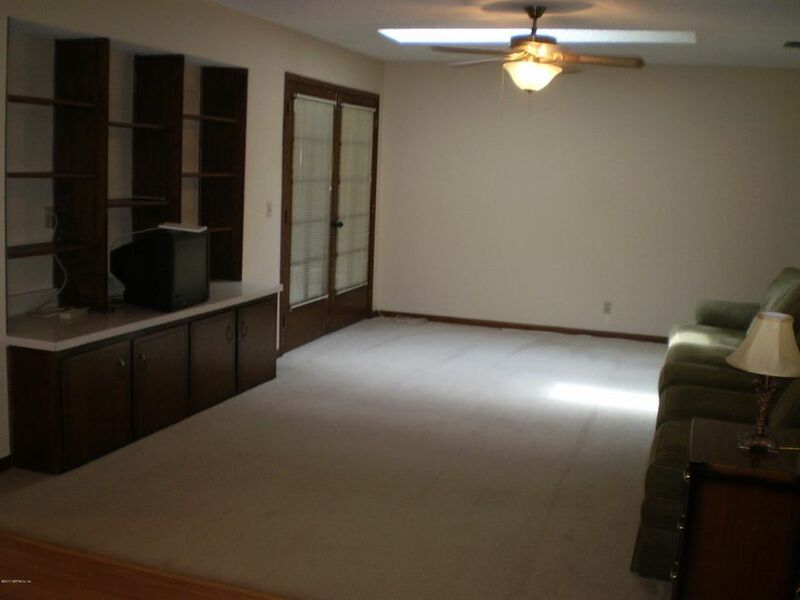 Family room hass skylight, built in bookcase and storage cabinets. French doors in the family room lead to large 270SF enclosed porch with another set of french doors leading to large 3rd bedroom. New wood kitchen cabinetry with granite countertops/stone backsplash in 2013 along with new electrical panel. New roof installed in 2011. New hot water heater in 2015. Inside laundry room in bedroom wing, washer and dryer remain (as-is). Your buyers will not be disappointed. This home has been on the market since Nov 20,2017. Courtesy of PROFESSIONAL REALTY NETWORK.